At least 87 people were detained at polling stations where they stopped to cast their votes in the elections on Sunday. Turkey held presidential and parliamentary polls on June 24, 2018. 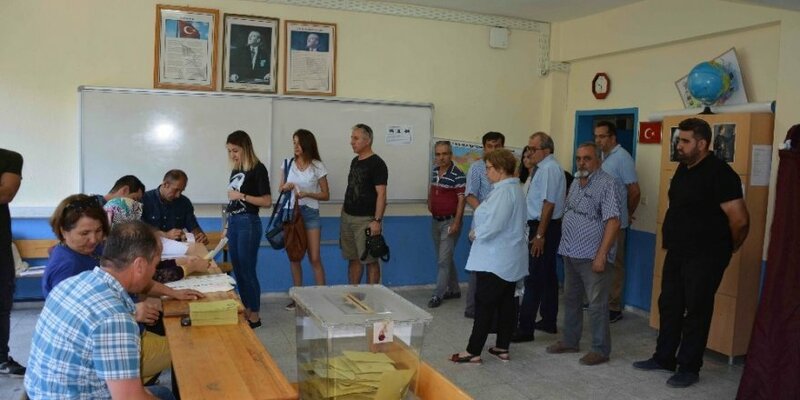 With the official voting results were yet to be disclosed by the Supreme Election Council (YSK) at the time of writing, state-run Anadolu news agency said in a report that 87 people were detained at the polling stations. The detainees had outstanding arrest warrants at the time they attempted to vote. Out of 87, 58 were caught in the western province of Izmir; 17 in Tekirdag; 11 in Denizli and 1 in Antalya. Two of the detainees were apprehended over their links to the Gulen movement while the reason for the detainment of the remainder were unknown, according to Anadolu. Turkish government accuses Gulenists for the July 15, 2016 failed coup, a claim the group denies. More than 160,000 people have passed through police custody and 90,000 have been put in pretrial detention since the summer of 2016.